Visitors having their secret agent capabilities predicted in the interactive tech lab. See PA Feature TRAVEL Austria. Picture: PA Photo/Kristopher Grunert. The Britten-Norman BN-2 Islander flown by Daniel Craig during Spectre's Solden chase scenes. Photo: PA Photo/Ed Elliot. 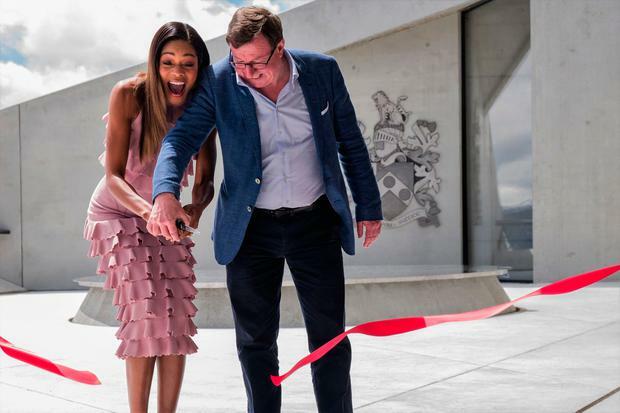 Bond actress Naomie Harris, left, opening 007 Elements alongside owner Jakob Falkner. Photo: PA Photo/TM Danjaq. The entrance to the 007 Elements museum is designed to resemble the barrel of a gun. See PA Feature TRAVEL Austria. Photo: PA Photo/Kristopher Grunert. The cinematic 007 Elements installation built into the mountainside and sitting next to ice Q restaurant which featured in Spectre. Photo: PA Photo/Christoph Nosig. Mountain biking in the Austrian Alps. Photo: PA Photo/Florian Breitenberger. Wakeboarding in Austria. Photo: PA Photo/Area 47. Accelerating out of a narrow tunnel onto an icy mountain road, a small convoy is surprised by the sudden emergence of an aeroplane from the adjacent valley. Gunfire is quickly exchanged, leading to a high-intensity chase through the snow-covered forest which culminates with the light aircraft smashing through a chalet and into the side of the vehicles. Sitting on a concrete bench in the new James Bond museum - 007 Elements - I am watching the film which inspired its creation. 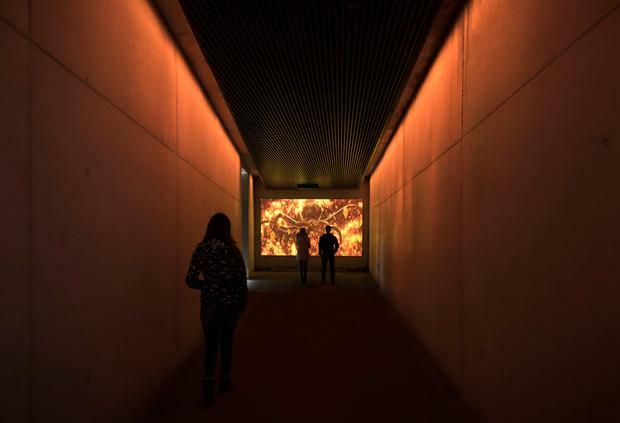 The cinematic installation is located more than 10,000 feet above sea level at the summit of the Gaislachkogl mountain, which looms over the ski resort of Solden in the Austrian Alps. Scenes from Bond's latest adventure - Spectre - were shot here in early 2015, and one local businessman was determined his hometown would not disappear from the spotlight. "I knew for us it was very good if they filmed here in Solden, but what then?" says Jakob Falkner, who runs the mountain's cable car company, Bergbahnen Solden, which owns the new museum building. "For me, it was quite clear that we had to do something." The result is a E10million-plus brutalist-style bunker carved into the mountainside, designed by Innsbruck-based architect Johann Obermoser. Sitting in permafrost, it has the appearance of a villain's lair. There are nine zones in total, with the content closer to a film than a traditional museum. A walk down the 'barrel of a gun' begins my journey into the attraction. It leads to a screen dedicated to the franchise's iconic and elaborate title scenes, which plays Sam Smith's Oscar-winning Writing's On The Wall, the theme song from Spectre. To the left is an open-air terrace where British actress Naomie Harris - Moneypenny in the last two Bond films - officially opened the building in mid-July. A maze of ramps and tunnels follows. Visitors are given a concise history of the 24 Bond films, while further inside, they can get hands-on in an interactive 'tech lab', which also displays props and gadgets. 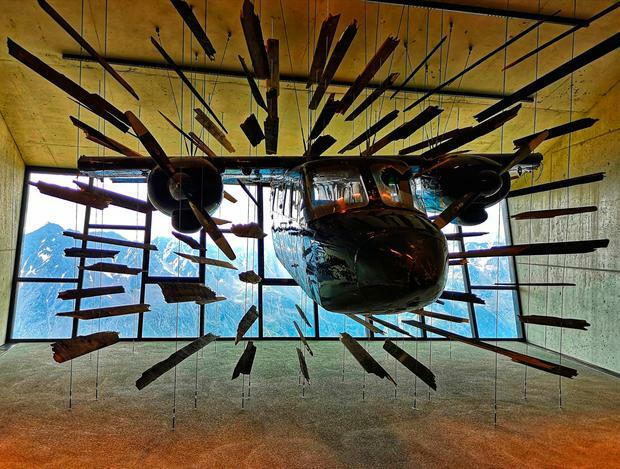 The bullet-ridden and partially-destroyed Britten-Norman BN-2 Islander flown by Daniel Craig in the film forms an impressive centrepiece; it's suspended from a ceiling in front of a wall of windows showcasing the region's majestic mountains. Construction of the attraction took just over a year and Jakob estimates 120,000 people will visit between summer 2019 and spring 2020. 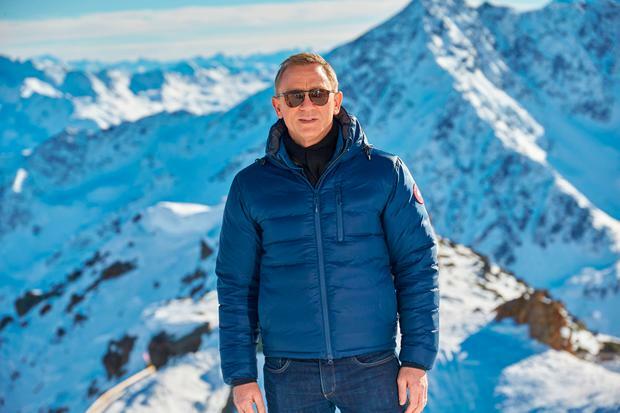 "I knew this was a very, very special place up on the Gaislachkogl," continues the 61-year-old, who opened Elements in collaboration with EON Productions and Metro Goldwyn Mayer Studios, the film companies which jointly own the rights to the James Bond films. 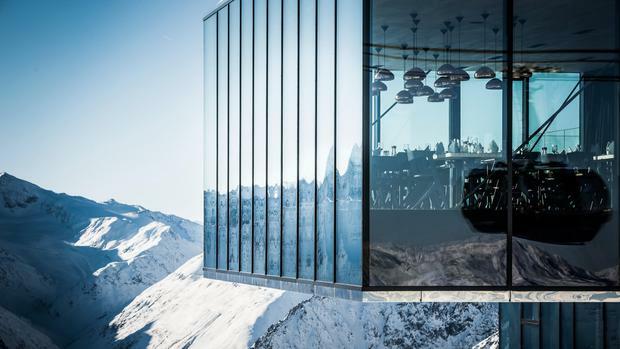 Leaving Solden's five-star Das Central hotel, where Spectre director Sam Mendes stayed during research trips to the area, I arrive at the summit of the mountain via two cable car journeys lasting just over 15 minutes. The gondola lift provided the backdrop for Spectre scenes involving Ben Whishaw's Q. Crews spent around six months here, with 15 days of filming resulting in approximately 10 minutes of footage for the film. 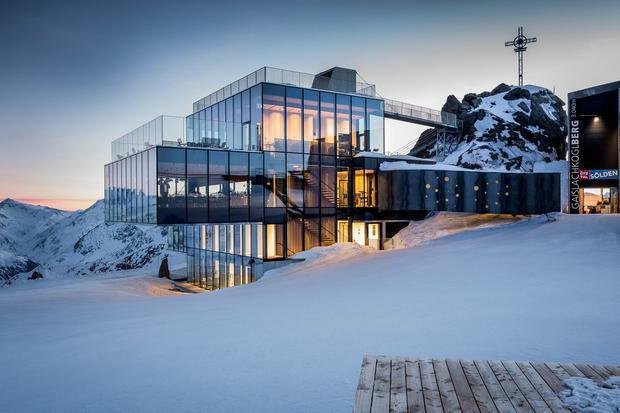 They were initially attracted by ice Q, a gleaming three-storey restaurant with floor-to-ceiling glass, which serves gourmet food at altitude and is located next to Elements. Fans of the film will recognise the building as the Hoffler Klinik, where 007 meets Bond girl Dr Madeleine Swann, played by French actress Lea Seydoux. She is kidnapped there, prompting the chase sequence, which was filmed in the nearby tunnel between the Rettenbach and Tiefenbach glaciers. 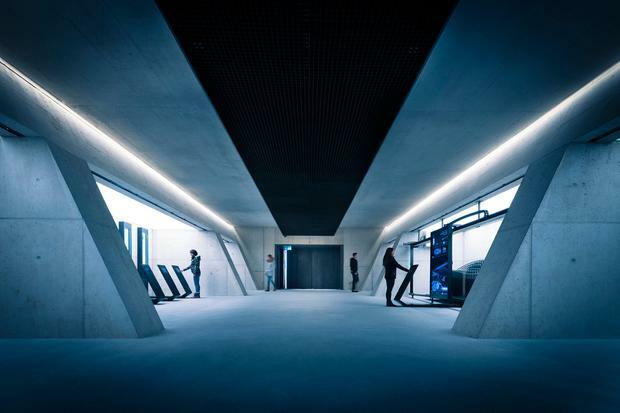 "Our director really wanted this character of Madeline Swann to work in a clinic which was extremely modern and beautiful, but kind of cold and steely at the same time," says 007 art director Neal Callow, who has worked on the last four Bond films and is the creative director of Elements. 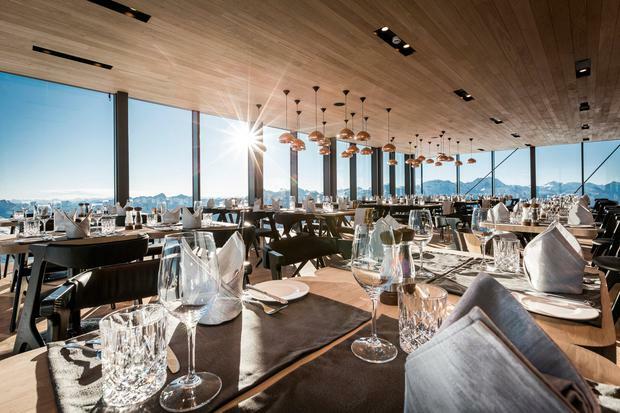 "As soon as they discovered ice Q restaurant, they knew immediately this was the place; absolutely perfect, super modern, stunning views, cold, frosty and shiny like a jewel of the Alps, so that's why we are in Solden. Seeing a montage of Bond villains reminds me that it is more than 55 years since Ian Fleming's spy novels were first adapted for the big screen. Talks are already underway for the next instalment, which is due to be directed by Danny Boyle and released in November 2019, and the museum will be updated to reflect the new film. In half a century, the world's most famous fictional MI6 agent has sipped vodka martinis across the globe, from Agra to Istanbul, Monaco to Mexico City. Solden's 007 connections could easily have been forgotten among the lengthy list of exotic filming locations. But Jakob was determined that would not happen. And, thanks to his successful mission, there is now a permanent bond. Fancy testing your own 007 credentials? 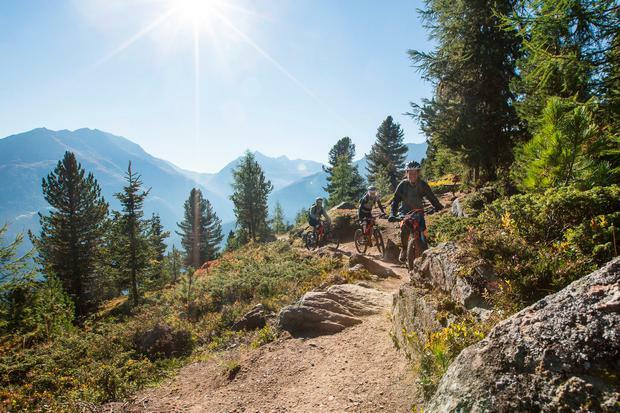 Austria's Otztal Valley is packed with opportunities for adrenaline-fuelled pursuits, including the country's largest outdoor leisure park, Area 47, which is a short drive from Solden. For those wishing to replicate Timothy Dalton's waterskiing scene in 1989's Licence to Kill, Area 47's 20,000 square metre wakeboarding lake has a licence to thrill. The sport involves riding on a small surfboard while clinging to a rope which is pulled at speeds of around 20mph by an electrically-driven cable. Bond villain Jaws memorably takes a speedboat over South America's Iguazu Falls while chasing Roger Moore in Moonraker. A slightly reduced rush at considerably less risk can be experienced on the grade three rapids of the Inn river. Pierce Brosnan demonstrates how to travel at speed on two wheels when he rides a motorcycle across the rooftops of Ho Chi Minh City in Tomorrow Never Dies. Solden's slopes - ideal for skiing during winter - transform into downhill mountain bike trails in the warmer months. Doubles at Das Central Hotel in Solden (central-soelden.com) start from €153pp per night (summer) and from €200pp per night (winter), based on two people sharing on a half-board basis. 007 Elements (007elements.com) is open daily from 9am to 3.30pm between July 12 and September 30, and October 26 and May 1. Adult tickets cost €22; combined tickets including the cable car cost €54. Admission to Area 47 (area47.at/en) water park starts from €22 per adult/per day.